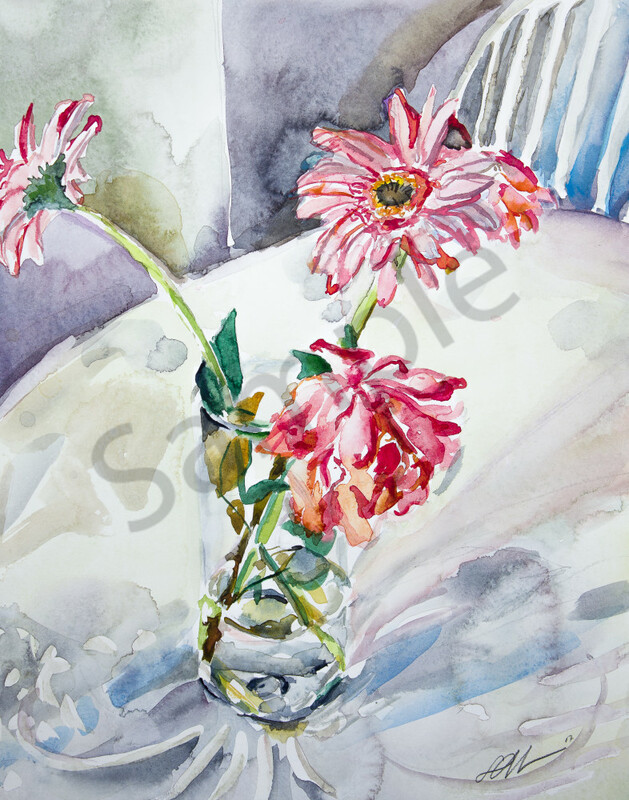 Light pink gerber daisies and hot pink rose. Available in your choice of medium. Delicate garden rose paired with elegant store-bought daisies. Print of watercolor original.